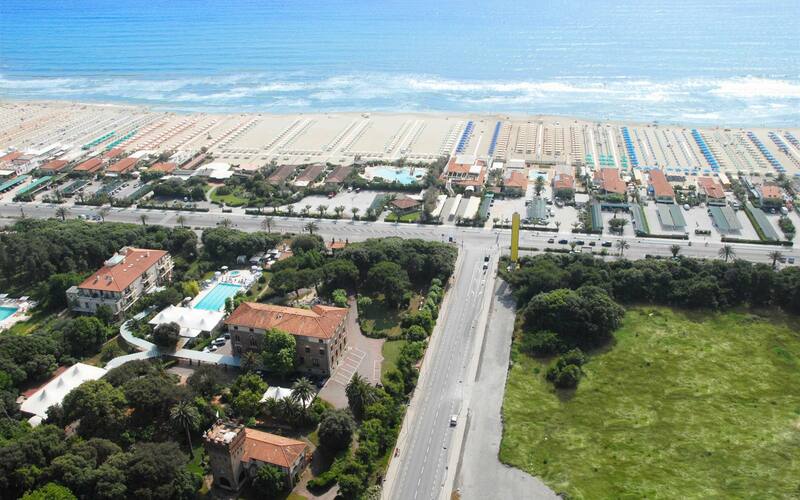 Lido di Camaiore is in the heart of Versilia, one of the most enchanting and charming areas in Italy and a popular tourist destination with golden beaches, unspoiled nature and a great deal of nightlife and society activities. Lido di Camaiore has always been a popular destination with personalities and celebrities and is still one of the favourite localities among Italian and foreign tourists, who love to spend their holidays in Lido di Camaiore, in the pursuit of relaxation, well-being and fun. From Victor Emmanuel III of Italy to Giacomo Puccini, Gabriele D’Annunzio and Eleonora Duse, ever since the beginning of the 20th century Lido di Camaiore has hosted great celebrities, making it one of the most renowned holiday destinations in Italy. With over four kilometres of fine, sandy, golden beaches, Lido di Camaiore is currently a modern beach locality, ideal both for a relaxing and peaceful family holiday and also for a holiday packed with nightlife entertainment and high society. Staying at the Park Hotel Villa Ariston is an excellent starting point for visiting Versilia and experiencing the territory. There are a great many attractions and organized festivals around Lido di Camaiore, numerous food and wine, folklore and musical events, for a holiday in the pursuit of history, art, culture and good food. Find out about the latest news and stay up to date on the main events happening in Lido di Camaiore. From 29 to 31 July, the 10th edition of the national Motorcycle Rally at the Lakes of Garfagnana, one of the 10 most important events of Italy's Italian Tourism Championship.